What Can Hollywood and Florida Do to Prevent Pedestrian Accidents? A study conducted by the Florida Department of Transportation by the Center for Urban Transportation Research at the University of South Florida concluded that in 2011 Florida had twice the national rate when it came to pedestrian accident fatalities and triple the rate of fatal bicycle crashes. Obviously, more needs to be done to ensure that roads can be shared safely. Many have advocated for better safety in Hollywood, arguing that efforts need to be made to stop Hollywood pedestrian accidents. 1) Create wider walkways. Some communities across the country are creating asphalt eight-foot-wide multi-use paths, which provide more space for pedestrians and create a larger space between pedestrians and cars. 2) Set up pedestrian barriers. Medians or refuge islands can help keep pedestrians safe during street crossings. 3) Improve lighting. Good lighting along roadways could potentially help motorists see pedestrians more clearly, helping to prevent traffic accidents in Hollywood. 4) Increase the number of sidewalks. Adding sidewalks, according to some estimates, costs $20 000 or more per block. However, in areas where there are no sidewalks in Hollywood, traffic accidents are more likely because cars and pedestrians must share the road. The Federal Highway Administration reports that about 8% of the estimated 4500 pedestrian fatalities that occur across the country each year are caused while pedestrians are walking on roadways. According to the same source, creating walkways separate from the roads could decrease up to 88% of these types of collisions caused by sharing the road. 5) Slow traffic. Techniques such as curb extensions and striping can reduce traffic speeds, as can better enforcement of speed limits. Speeding not only increases the risk of car accidents in Hollywood and other communities, but it also increases the risk of fatal injuries in the event of a collision. 6) Make an effort towards visibility. Good road design and maintenance includes removing any barriers that could prevent a motorist from seeing a pedestrian. This may mean cutting back hedges and trees or removing larger obstacles. 7) Space crosswalks closer together. Spacing crosswalks far apart – half a mile or more – increases the likelihood that pedestrians will jaywalk rather than walking to the closest crosswalk to cross safely. 8) Improve crosswalk lights. 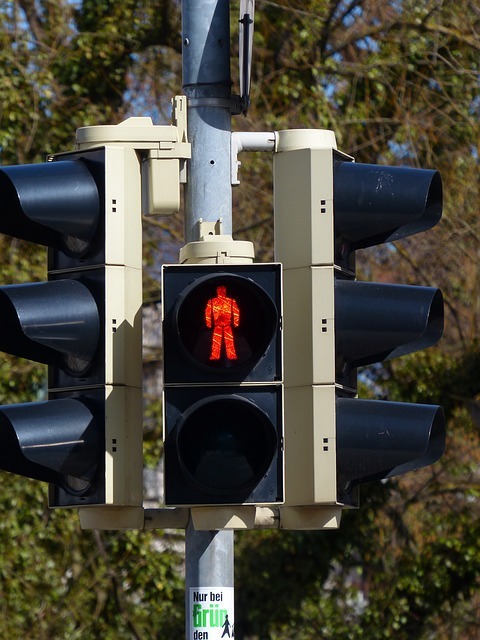 Increasing the green or “WALK” time of pedestrian lights can ensure that pedestrians have enough time to cross to the other side of the road – even if they are young or elderly and need more time to cross. There are also microwave or infrared detectors that can sense slower-moving pedestrians and extend lights as needed so that pedestrians are not caught in the middle of the street when the light changes. Some communities have also found success by creating “pedestrian zone” crossing on body streets. In these situations, road traffic in all directions comes to a complete stop regularly so that pedestrians can cross in whatever way they wish. Currently, safety experts say that lights are designed only with motorists in mind. What do you think would improve pedestrian safety? Have you been injured in a traffic accident in Southern Florida? Arrange a free consultation with Flaxman Law Group today to review your situation.